High school students from Kobe visited Great East Japan Earthquake and tsunami disaster areas to work as volunteers. There, they had an opportunity to hear stories from the survivors. A woman told them about what she saw on March 11, 2011 -- tsunami waves rushing into a school gym full of evacuees, swallowing them. A student began to cry as she listened to the story, but the woman told her, "Don't cry. Laugh. It's our job to cry. I want you kids to be laughing." 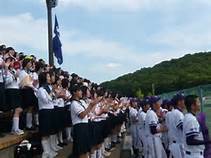 The students were from Hyogo Prefectural Maiko High School in Kobe, a city devastated in the 1995 Great Hanshin Earthquake. Maiko high students have been visiting the Tohoku region struck hard by the 2011 disaster to help recovery efforts. The episode between the woman and the student is recorded in the book "Kokosei, saigai to mukiau" (High school students confront disasters), written by Seiji Suwa, a teacher who accompanied the students to the disaster areas. By encouraging the student to laugh, the woman may have wanted to see the light of hope in the teens. The student, in return, might have nodded with a smile even as the tears continued to fall. "The flame of hope," shared from a gas lamp in Kobe, has been spread to different parts of the Tohoku region. The flame, set up through donations and which commemorates victims of the Hanshin earthquake, lights up the northeast region as a prayer for disaster recovery. One of the flames can be seen in the Iwate Prefecture city of Rikuzentakata, sitting on a hill with a view of Hirota Bay with its oyster and Ezo scallop farming rafts. Disaster survivors hold a moment of silence here every Jan. 17, the day of the Hanshin earthquake, and people from across the country visit on March 11. The organization that manages the flame sends New Year's cards to everyone who signs the guestbook. "I was lucky enough to survive the (March 11, 2011) disaster. This is the place where I remind myself that I have to live fully," a staff member with the organization said.